The most coveted enterprise customer summit and award ceremony, the 16th edition of this year's Infotech Forum 2018 recognized the Eminent CIOs of India, Top 25 Most Trusted Companies and 50 Most admired brands in India. The entire event was focused on Cyber security and cyber intelligence in the Indian Fintech Industry. 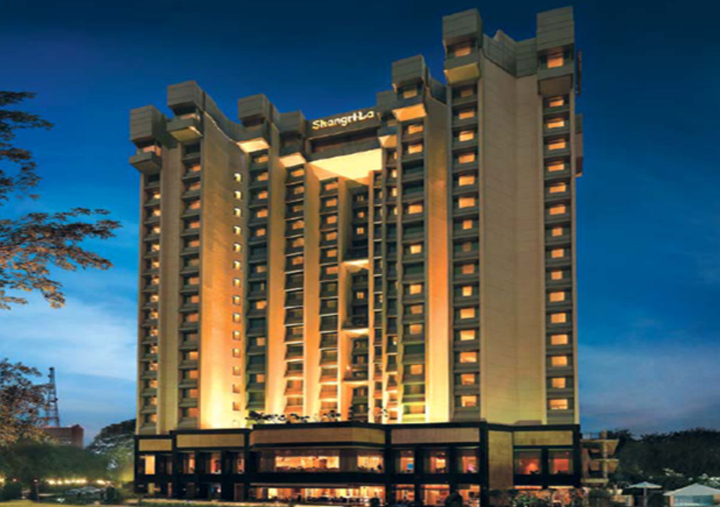 The unveiling of the 7th edition of the Brand Book and live showcase on AI, IoT, ML, DL, Cyber security and Modern DC by tech companies made the event more interactive with the presence of 200 CXOs from various vertices at Hotel Shangri-la, New Delhi. 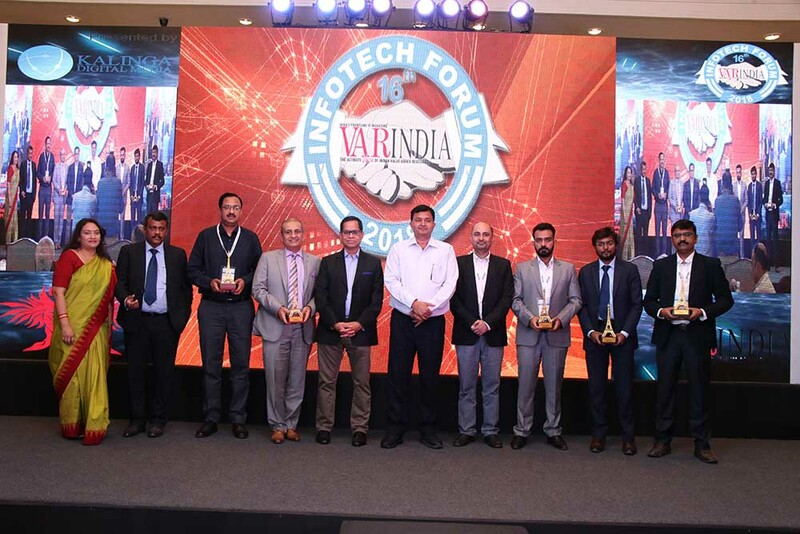 Infotech Forum 2018, a much awaited annual event of VARINDIA held on 25th May 2018 at Shangri La, witnessed the presence 400 CXOs( CIO/CTO/CISO) from government, PSUs, enterprises, IT consultants from various verticals gathered to understand on the Theme on: ‘Disruption – A new Reality’. The forum provided a platform for all to discuss latest technological disruptions that are going on in the Information Technology industry, technical presentations and also business networking. 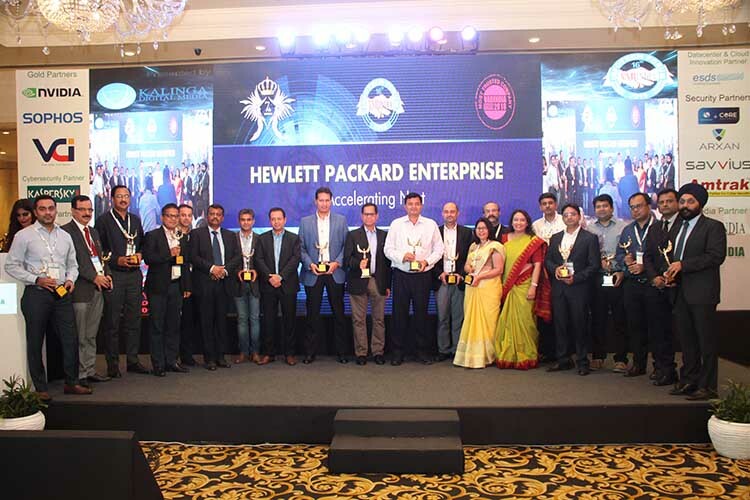 The event also witnessed the recognition of 100 Eminent CIOs of India, India’s Top 25 Trusted Brands along with Top 50 Most Admired ICT Brands. This was followed by the recognition of the Top 10 Brands Icons of India. Disruptive business models across the globe are forcing organizations to reimagine the role of their IT functions to stay competitive and in some cases, to stay relevant. Today, CIOs are constantly on the look-out for futuristic technologies to challenge the status-quo, cut costs, boost revenues, generate process efficiencies and facilitate the development of new products and services. This White Book speaks on the latest research on the effectiveness of the Chief Information Officer (CIO) in organizations and its impact on IT success, such as successful strategies on flexibility to work with new business models, etc. The “Eminent CIOs Of India” award is the right testimonial for our analysis on the effectiveness of the CIO’s role based on four antecedents: personal competence, hierarchical position, the management environment, and the IT infrastructure of the organization in which the CIO operates. 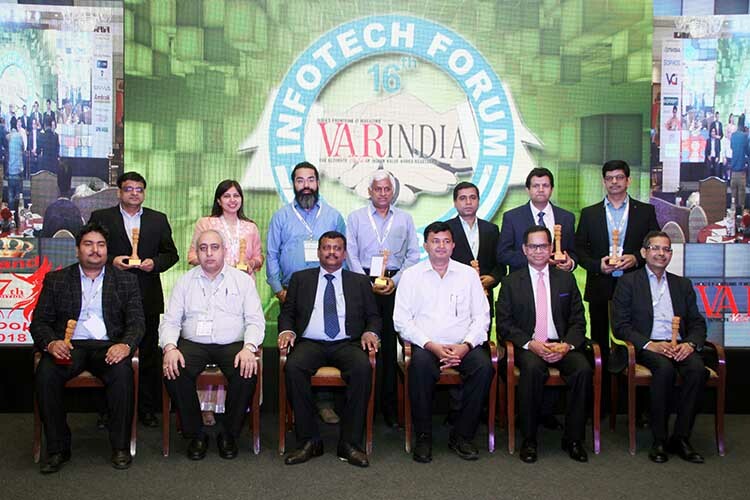 Hence, VARINDIA has recognised these personalities as the Eminent CIOs of India. 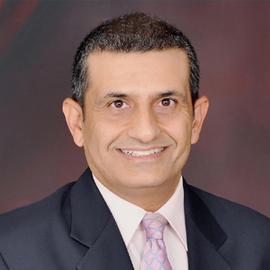 Vishal Dhupar, Managing Director, South Asia- NVIDIA highlighted the opportunities of AI and hinted that firms across the globe are fast becoming aware of the power of Artificial Intelligence, Mixed reality, Deep learning, Blockchain. Industry is in a very interesting phase that is transformative. We talk about AI all the time and yet AI has been in the existence pretty much from the time computer science has been and we all know from the facts that human mind works in 2 mode- Reasoning and Understanding and yet all AI specialists have put all the efforts behind reasoning and not behind understanding. There could be any reasons behind why nobody put effort behind understanding but there are two which stand out- one that you have no clue how to handle understanding and second, there is very low computation power to manage understanding in machines. 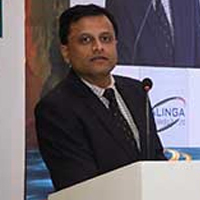 Shankar Aggarwal, OSD- ASSOCHAM shared his perspective on the economic growth and sustainability. When it comes only through technology always. People were have a different kind of regime over here we did not invest or adopt technology; With the new and young generation, those who got burning desires, suddenly we became the darling of the world and that was because of information technology and we are supposed to be the world leader in IT and if we don’t take advantage of IT and unless we harness the latest advances in these disruptive technologies such as AI, Blockchain, IOT and unless we harness these technologies for the betterment of every common man again we’ll miss the opportunity. We’ve got the capability, capacity and today the society is inspirational and we are a hugely aspiring society so let’s take advantage of this. S. N Tripathi, IAS, Secretary-Ministry of Parliamentary Affairs- Govt. Of India shared his perspective on Digital India and the scope that e-governance offers to every citizen.Today, country is aiming for what we called as 3 billion things- one billion jan-dhan account 1 billion aadhaar card, one billion mobile phones so that delivery of govt. services which are possible digitally at least they can be delivered. Who could have imagined that 29 crores of accounts will open in jan-dhan was it possible without jan-dhan which was not adopted by the banks. Earlier everyone has to walk 3 miles to get his one hundred rupee from a bank. Today, you can transfer the money by using BHIM application without going anywhere and we are still in the country where nothing much has changed except digital. 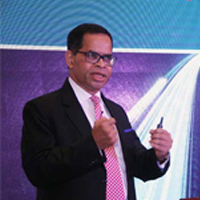 Mrutyunjay Mahapatra, DMD – Digital Business & New Business – SBI while spoke on his keynote address, enlightened the audience on how banks always want to understand their customers better and improve their relationships. "Technology could cut banks' infrastructure costs by up to $20 billion each year by 2022," he said. “Fintech is almost a synonym of .com. Everybody believes that the venture bug has come and anyone can make money in this world. What we are observing in Fintech is that many of them are engaged in the so called valuation and not the value creation game. This is the first problem. Now, Fintechs do not have the ability to scaleup when it comes to experimenting a concept with a database of 100 or 200, the software works very well but at deployment it fails because the proper sandbox ecosystem In India is not available. So reliable sandbox is not there. Harpreet Singh, Territory Manager- Kaspersky Lab spoke on “When we talk about security, all the business verticals these days like hospitality, pharma, healthcare, manufacturing etc. – everybody is under continuous threat. Hackers are keeping a close watch on all of us every moment. Everybody is under scanner. There has to be a proactive approach in mitigating all these kind of targeted attacks like IoT, Cloud, BYOD are the ones that are driving the market and security is actually which forms the hat of everything. There has to be a proactive kind of approach from the C level community when it comes to the overall cyber security landscape. 90% of the threats are very generic in nature and can be controlled by technologies like anti-virus, firewalls etc. But the rest 9% are the sophisticated ones. One cannot counter these risk by simple technologies. Companies need heuristics and behavioural analysis. But the problem comes with the rest 1%, these are the targeted attacks. "Today is a historic day as the general data protection has been implemented from today in the European Union. Typically when a country passes a law it is applicable within its territorial boundaries. We in India have the Information Technology Act which applies to entire India but unlike other laws it also applies to people outside India - a person of any nationality of anywhere in the world violates or contravenes the provisions of the act. We did this law 17-18 years back but GDPR has only replicate it, what we have done in our law. It says that you will have to primarily ensure that the data of European citizens or people residing in Europe are adequately protected. Typically this is for European Union, however a clause in the law says it is also going to apply to any company, data controller, data processor located outside the union who is dealing, handling or processing the personal data of residence of the European Union. 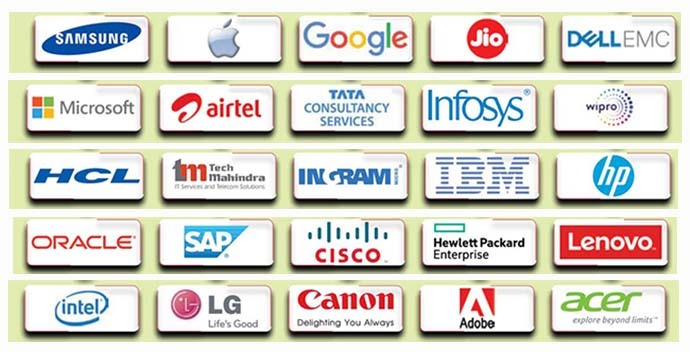 So, quickly we began to start realising that it has began to impact a large number of companies including India. I think we are going to see a very interesting time where large number of litigations could happen. If you want to do business with European Union then you have to ensure the compliance with GDPR. 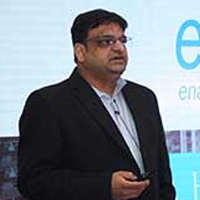 Dr. Rajeev Papneja, EVP & COO, ESDS Software Solution spoke on the innovative solutions the company offers in its state-of-the-art data centers. “Innovations and disruptions are not always like iPhone which complete changes the way the world use to work. Such kind of innovation may happen once in a decade. Innovations are also some small important changes to what already exists. It is not always necessary that we try to innovate something at the expense. We all know what public cloud gave us. When the research firms say that the public cloud is going to grow by some percentage but how much is it of the total IT landscape is what we need to know. Everything will not go into public cloud. Private cloud will stay. There is data that needs to reside on your data center. There is also need for edge computing. With the bandwidth available in our nation and the cost of bandwidth can immediately be transferred to the cloud. There are mission critical workloads that have to be done on edge computing and later they can be moved to public cloud. In the evening session, Dr. Herald Dcosta, Director- Intelligent Quotient Security spoke on India’s present security landscape. As far as the cyber crimes are concerned, the digital evidence is bought either by the complainant or by the accused. So the digital evidence can create a lot of problems. One layer part, end to end encryption can be questionable. From the digital evidence point of view is whom to believe and whom not to. When you talk about WhatsApp messages are altered, modified, deleted and then we do not have any type of a server where we can get this information from. So when you ask for information from WhatsApp, it is being a virtual server by nature shall reply us saying that we cannot provide you the information because being a virtual server we act like a post office. Therefore, no data is retained at our end. Then it becomes a very questionable task as how to get these particular messages to be authenticated. 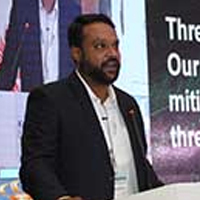 Mrutyunjay Mahapatra, DMD – Digital Business & New Business – SBI spoke in the valedictory address, For a country like us what important is when, where and how much? And that is the problem. The problem is that we do not know where to start, when to start? How to start? Whether your organisations are ready? Whether your CFO will give you the money whether you can hire from the public? So how to start, what is the template in which you go forward that is the question and who will do that? It is you, you have to take pen and paper, and you’ll have to whiteboard it. You’ll have to sit with your team as they say half of the solution is defining the problem statement well. We start going towards the solution without understanding the problem and formulating the problem statement. Remember that, problem statement articulation will be the challenge before corporate leadership. Kalinga Digital Media Pvt. Ltd.